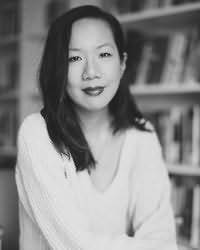 Jen Sookfong Lee writes, talks on the radio and loves her slow cooker. In 2007, Knopf Canada published Jens first novel,The End of East, as part of its New Face of Fiction program. Hailed as an emotional powerhouse of a novel, The End of East shines a light on the Chinese Canadian story, the repercussions of immigration and the city of Vancouver. Shelter, Jens first fiction for young adults, was published in February 2011 as part of Annick Press Single Voice series. It follows a young girl as she struggles to balance her first and dangerous love affair with a difficult and demanding family. Called straight-ahead page-turning brilliance by The National Post and shortlisted for the City of Vancouver Book Award, The Better Mother, Jens sophomore novel, was published by Knopf in May 2011. Set in Vancouver during the mid-20th century and early 1980s, The Better Mother is about the accidental friendship between Miss Val, a longtime burlesque dancer, and Danny Lim, a wedding photographer trying to reconcile his past with his present. Jens third novel for adults, The Conjoined, will be published by ECW Press in September 2016. A popular radio personality, Jen was the writing columnist for CBC Radio Ones On the Coast and All Points West for three years. She appears regularly as a columnist on The Next Chapter and Definitely Not the Opera, and is a frequent co-host of the Studio One Book Club. Jen is a member of the writing group SPiN and is represented by the Carolyn Swayze Literary Agency. Born and raised in East Vancouver, Jen now lives in North Burnaby with her son and hoodlum of a dog.